Randell C. Alexander, MD, PhD, currently Chief, Division of Child Protection and Forensic Pediatrician at the University of Florida and until recently the statewide Medical Director of the Florida Child Protection Teams, was presented with the 2017 Outstanding Teaching Award at the Ray E. Helfer Society’s Annual Meeting in April at the Grand Hyatt in Denver, Colorado. The Helfer Society is an international society of physicians seeking to provide leadership to enhance the prevention, diagnosis, and treatment of child abuse and neglect. The Outstanding Teacher Award recognizes the importance of teaching in the promotion of the scientific and humanitarian aspects of child abuse medicine. Dr. Alexander began his child abuse work at the University of Iowa, continued it at Morehouse Medical School in Atlanta, before accepting the job of directing the state of Florida Child Protection Program. Randy has given over 300 lectures on child maltreatment both nationally and internationally, published over 40 peer-reviewed articles, edited several textbooks on child maltreatment, written over 40 book chapters on child abuse and neglect, participated in the composing of 12 policy statements for the American Academy of Pediatrics, presented 18 abstracts, and produced five videotapes on child maltreatment. He is a member of the Section on Child Abuse and Neglect (past Chair of both Curriculum and Finance Committees of the Executive Committee of the Section), served on the Committee on Child Abuse and Neglect for six years, has been a member of the American Professional Society on the Abuse of Children (APSAC) since 1987, having served as Chair of the Nominations and Awards Committee, Co- Chair of the Development Committee and the Membership Committee, on the Executive Committee from 1994-2000. 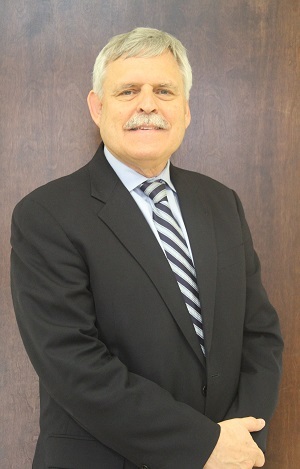 He has served in various capacities on Prevent Child Abuse America, including as a member on the Board of Directors; is vice-chair of the International Advisory Board of the National Center on Shaken Baby Syndrome; and is on the Executive Council of the International Society for the Prevention of Child Abuse and Neglect (ISPCAN). He has been involved in local and regional child death review teams as well as the Florida chapter of the American Academy of Pediatrics. He was recently honored by being the Chadwick Lecturer at the San Diego Conference. There are very few who have worked as tirelessly as a teacher, an administrator, an author and an editor as Randell Alexander.